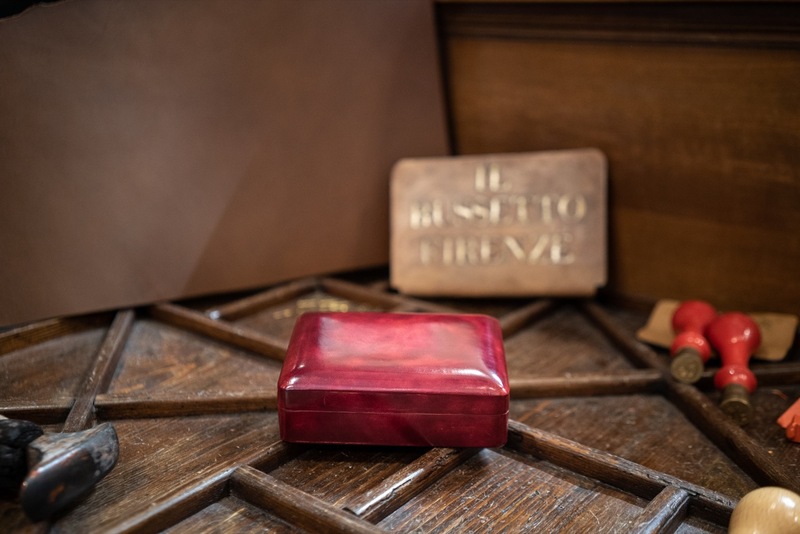 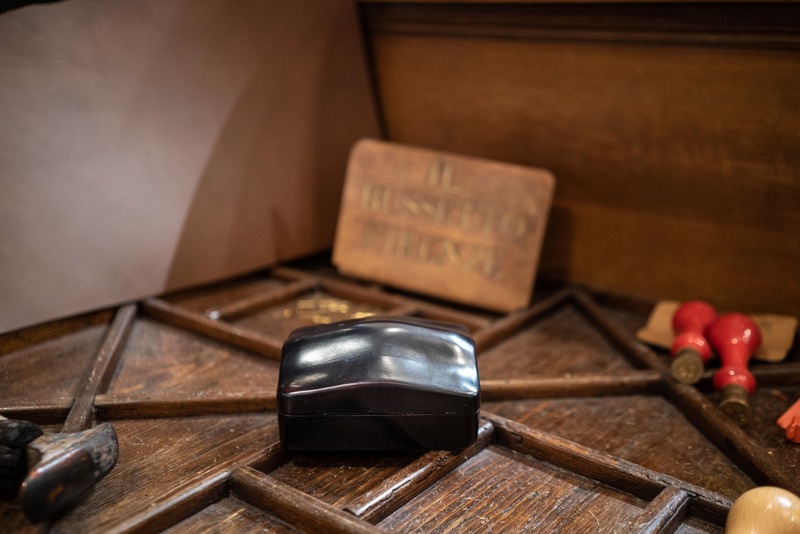 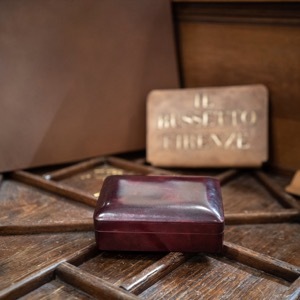 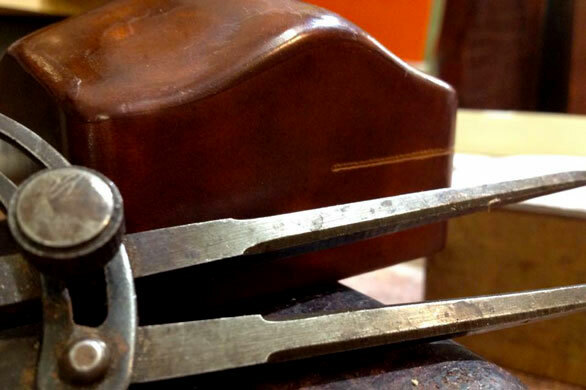 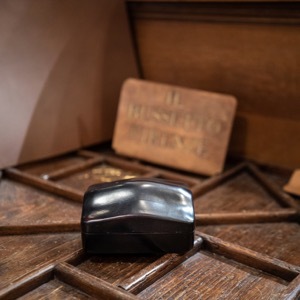 called the "Luigina Box" for its characteristic, elegant shape inspired by the Louis XV style. 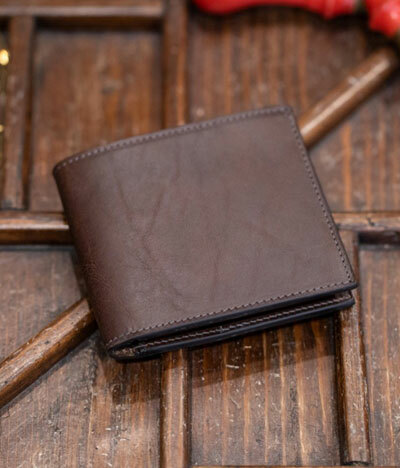 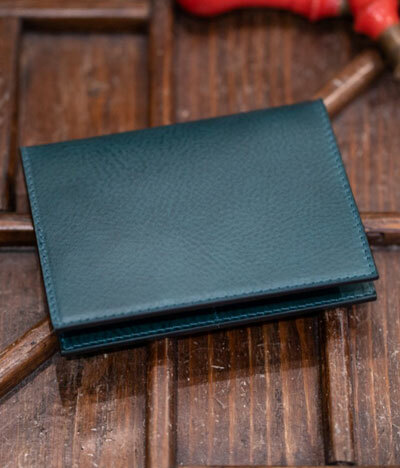 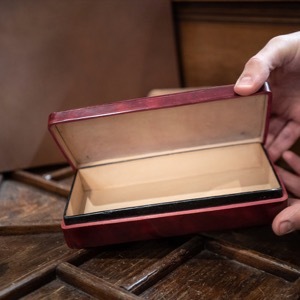 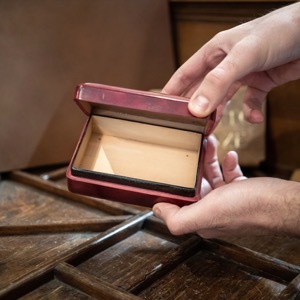 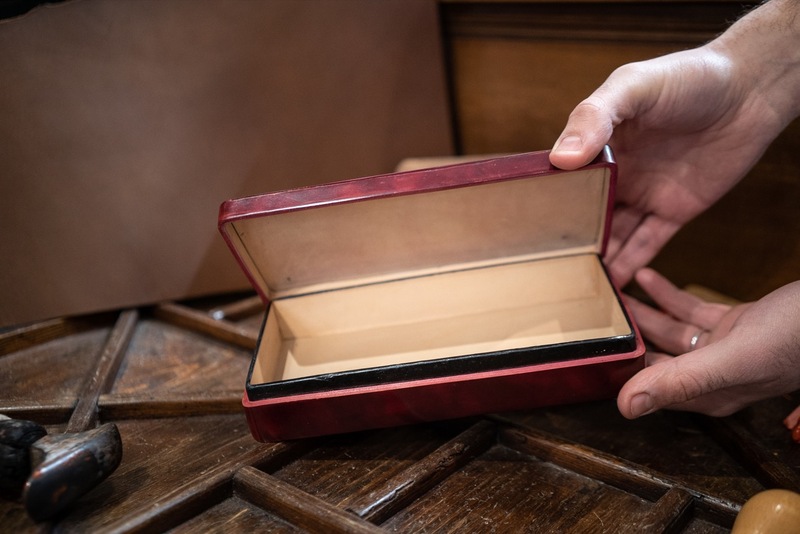 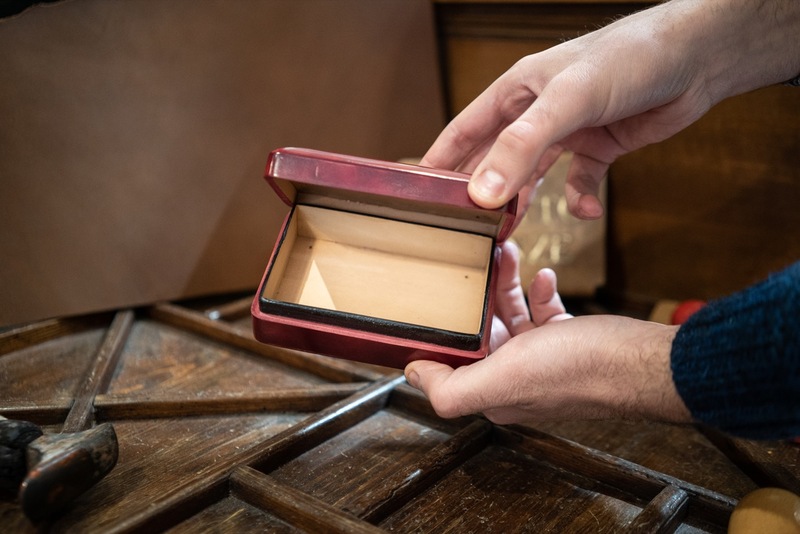 It is a classic object to be used in homes for safekeeping precious jewels or on the desks of prestigious offices for holding cards and letters. 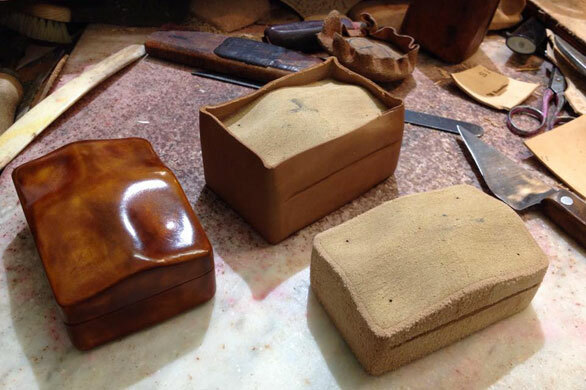 The boxes are made to order, according to customers' requests, in various shapes and sizes. 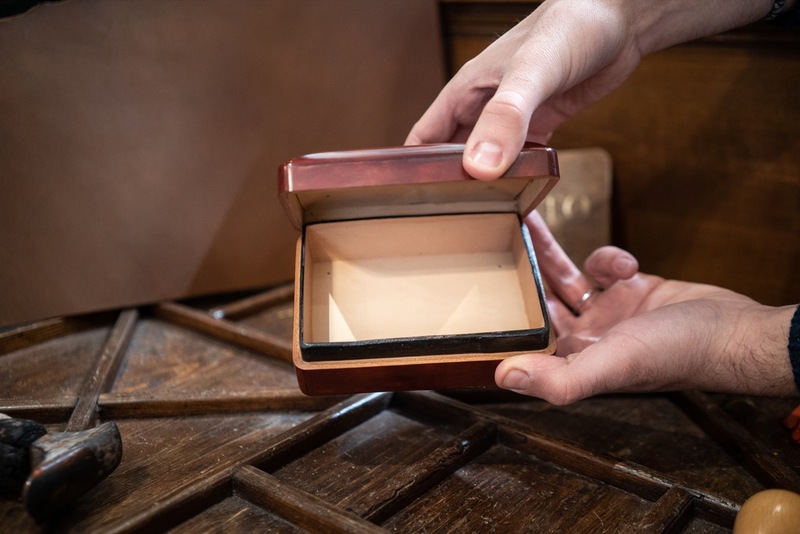 The Jewellery Boxes can be personalised with the initials of your name or with a number (up to a total maximum of 2 characters). 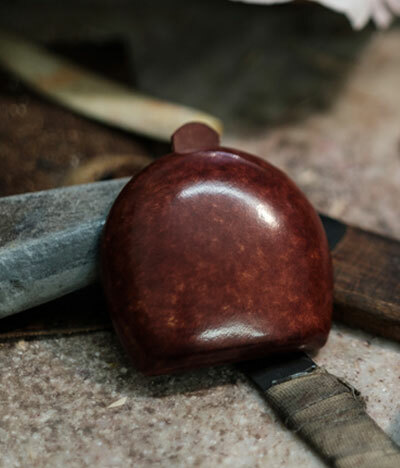 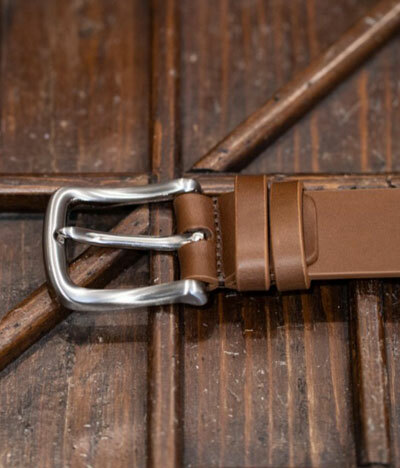 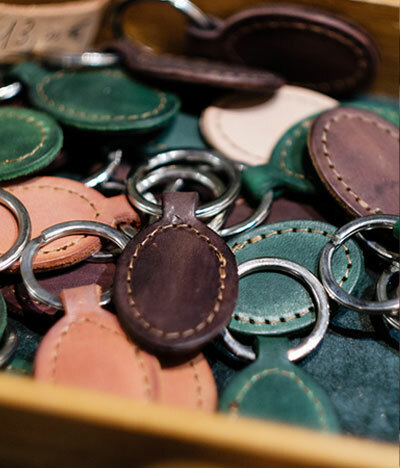 Being a custom-made object, it is also possible to choose the colour you prefer. 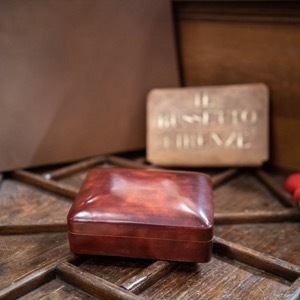 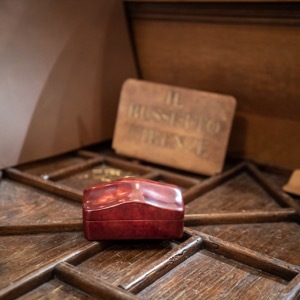 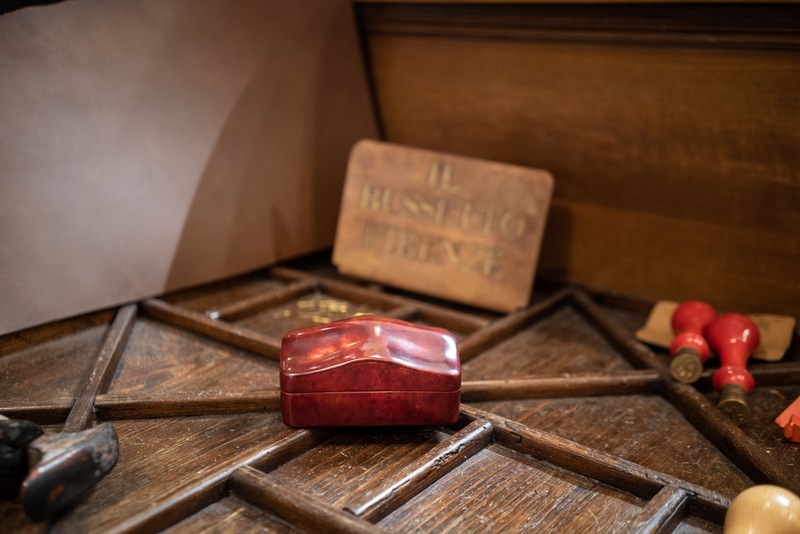 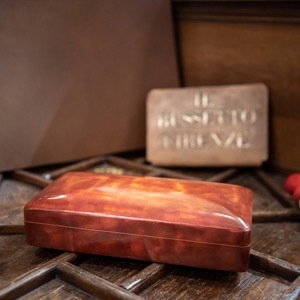 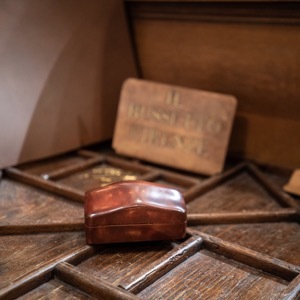 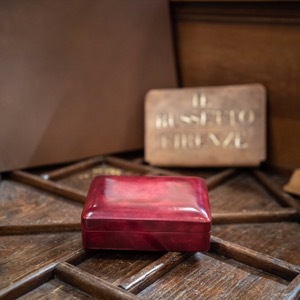 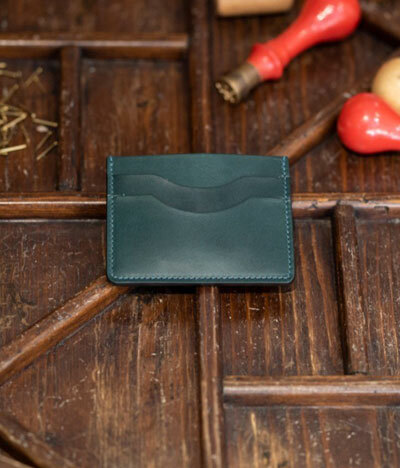 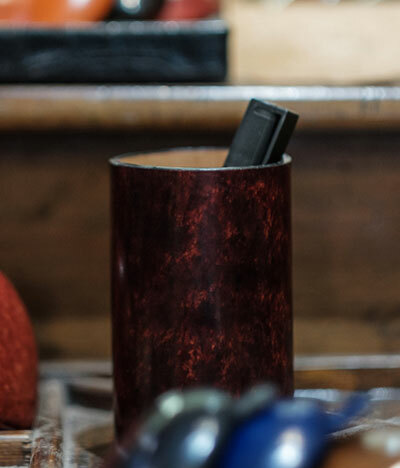 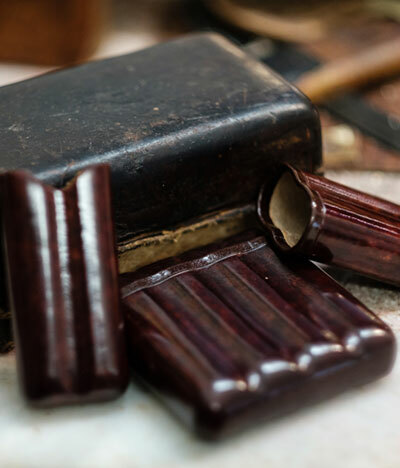 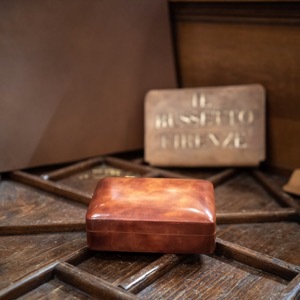 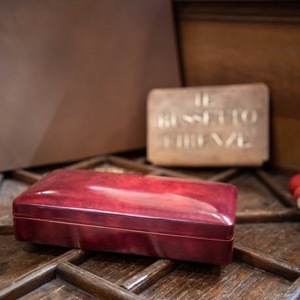 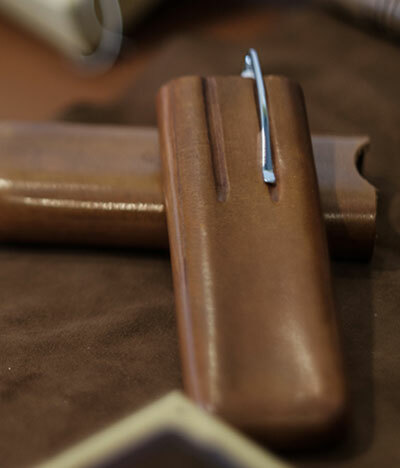 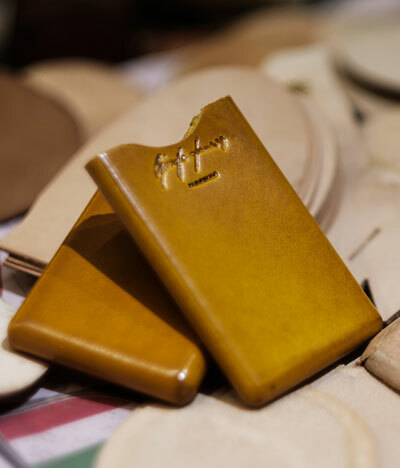 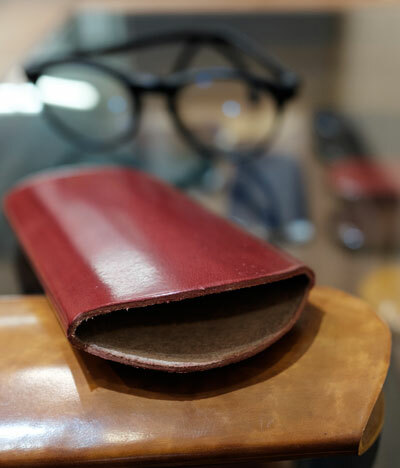 These objects are made entirely in our workshop in FLORENCE by Giuseppe and Mirko, from cowhide that is tanned with vegetable extracts in Tuscany and then dyed by hand. 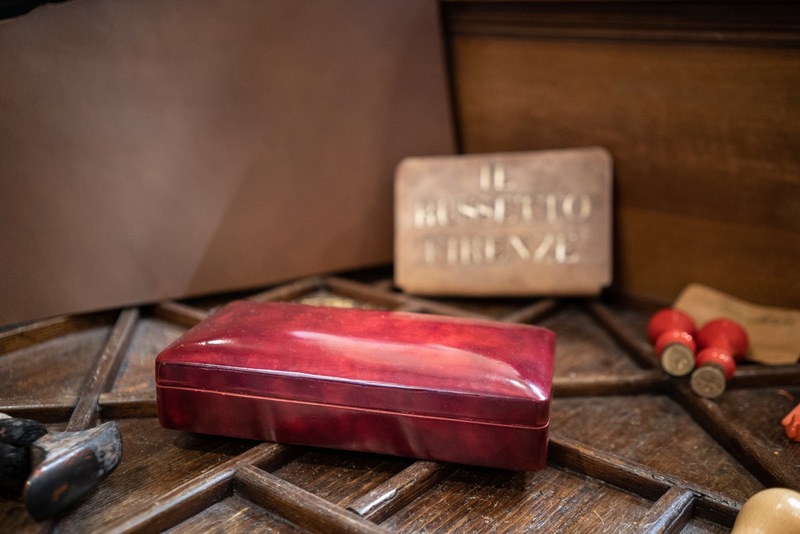 The Jewellery Box, made of thick, moulded leather, is a classic, elegant object to adorn your home or office. 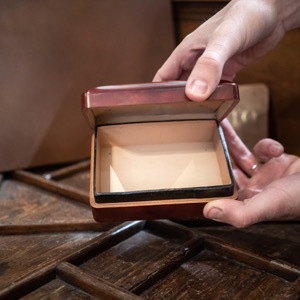 The boxes are made to order within 30/40 days, in various shapes and sizes.